Since I started working at Angling Direct I have come to realise that I am more than confident in advising customers on Carp, Pike and Barbel angling but when it comes to using a pole I really am a duck out of water. The only way I get confident to pass on knowledge, advise and be 100% that I am happy with what I am saying is to get out there and do it. Now match fishing, or fishing for F1’s is never going to excite me, so I needed a way to fish for double figure carp on the pole. After a few lengthy conversations with Paul my manger and Ross another colleague from work who are both experts when it comes to using a pole we came up with a method that would suit my needs. I am now the proud owner of a Shimanno Beast Master margin pole, a Maver MV-R seatbox and a selection of pole floats, hooks and hook lengths. I decided that I would embrace the pole angling experience fully and make my own pole rigs. For the main body I used 0.19mm Preston Reflo Power line with a Diawa Carpa Deck 0.2-gram float. Hook lengths consisted of 0.15mm Preston Reflo Power and size 10 KKM-B eyed hook. 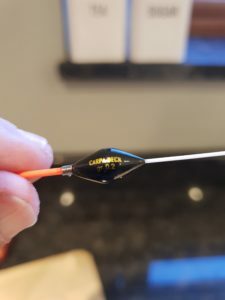 I found constructing the rigs quite easy but a little more fiddley than my normal Carp rigs due to the size of the materials used and my sausage like fingers! I may go through just how I make my pole rigs in a later post. For my first session with a pole I decided that the farm pond would be best. I found a group of fish feeding no more than a few inches from the bank. As I started to set up my pole and seat box etc I kept feeding the carp with a steady trickle of maggots. Rather than plumbing the depth where the fish were feeding I plumbed up a few feet from them along the same bank. After a few minutes use of the plummet I discovered they were feeding in just over half a foot of water. After setting my float to the correct depth I opted to lower my rig in about a foot away from where I could see the carp feeding. I did this as I did not want to foul hook them, from the moment I lowered my rig in I stopped feeding the maggots where I had been and now started feeding around my float. It did not take long for a carp to home in on the new spot and within 30 seconds I had my first take from a carp on the pole. With the water being so shallow the carp just exploded into action and tore off at a great rate of knots as soon as it realised that it was hooked. I plunged the tip of my pole under the water and put as much opposite side strain on it as I dared. Let me tell you that carp led me a merry dance for around five minutes before I had it under control and was playing it on my top 2 and getting used to using a puller bung, after another minute or so it was in the landing net. 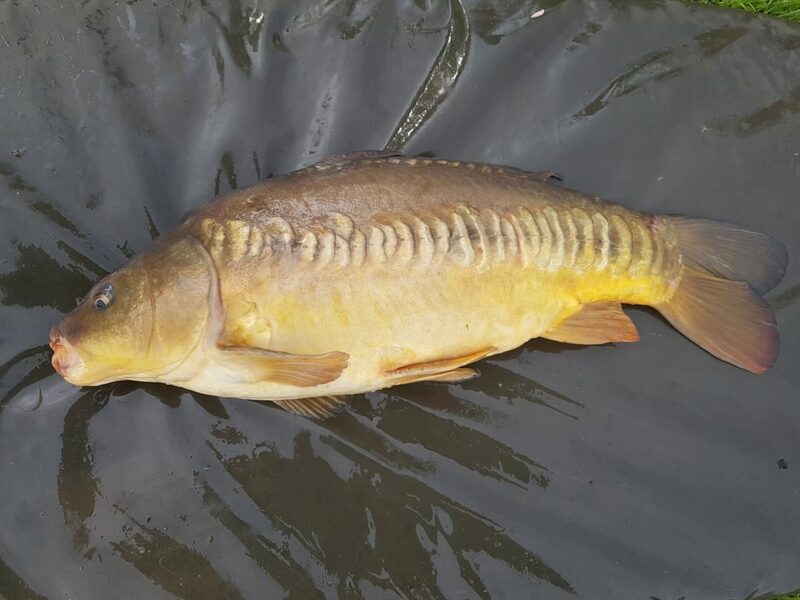 I quickly feed the original spot before unhooking, weighing, photographing and safely returning my first pole caught carp. Just in case you are wondering it weighed 11lb 2oz. I could not have asked for a better first session and caught 9 double figure Carp and lost 4. I must admit that I did enjoy catching this size of Carp on the pole, but I did at times feel utterly out of control. I think that at the moment I prefer rod and reel, but I will be trying this method out more and more and may even have a go for different species on the pole in the future. 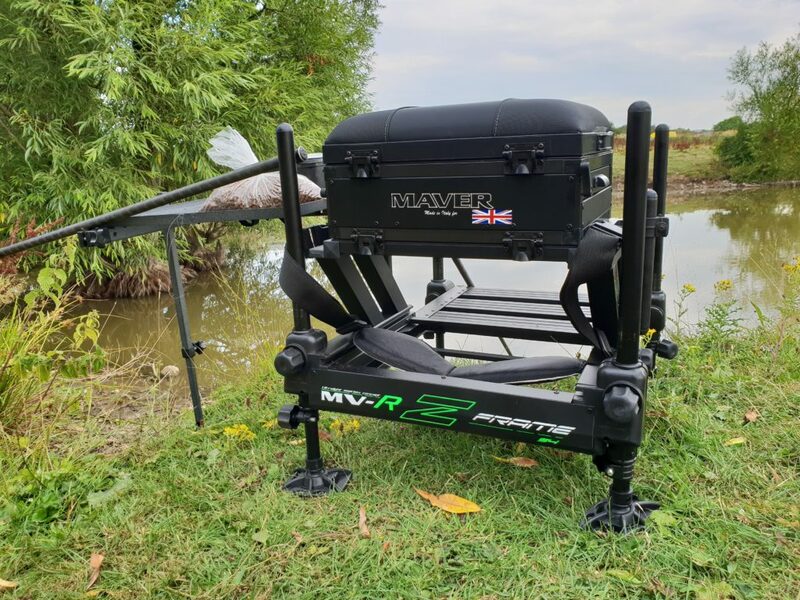 This entry was posted in carp, pole fishing and tagged carp, carp fishing, diawa, maver, pole, pole fishing, pole fishing for carp.